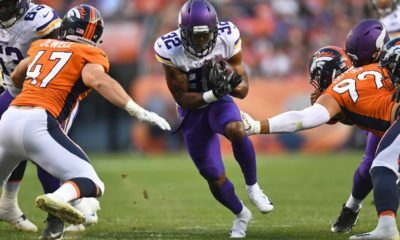 The 2017 Minnesota Vikings, were quite the anomaly. I wasn’t sure if this season was a surprise, or a letdown, for the fans. With all the question’s surrounding the quarterback position, most figured they didn’t stand a chance in the North. But on the other hand, they have a top 5 defense, and few weapons on offense to be scary. Needless to say, the season was a success for the most part. That is until they lost in the NFC Championship. Fast forward to now and there is another issue (again), who is playing quarterback. Teddy Bridgewater, is back healthy, Sam Bradford, and Case Keenum, are free agents and could look to go elsewhere. Good news there are a lot of options out there, and Minnesota is a place free agents want to play now. 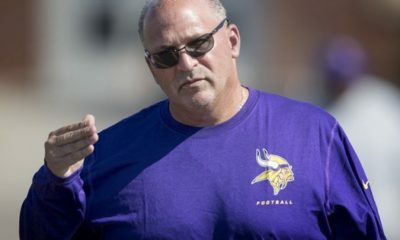 Whatever they decide, they will have a pretty deep roster to surround their signal caller and have a couple draft picks to add to their solid roster. Here are a few picks that could help the team, keep them trending upwards. RD 1) CB Mike Hughes (USF)- The Viking’s have a pair of corner’s, that a lot of teams would kill for. Still, adding a talent like Hughes, would be huge for a defense looking to keep to its dominant way’s. The depth behind Xavier Rhodes and Trae Waynes gets a little bit shaky, so it would make sense to bring in someone with his skill set. He has the talent to kick inside and cover quicker WR’s, while also patrolling the run game. He is a solid cover guy, and brings a toughness to the defense, as he does not shy away from contact. Looking at the tape, you see a young man, that just happens to be the prototypical, Mike Zimmer, style of CB. RD 2) OG/C/OT Isaiah Wynn (Georgia)- Front office’s across the league, love versatility, and if anything can be said about Wynn, is he is versatile. 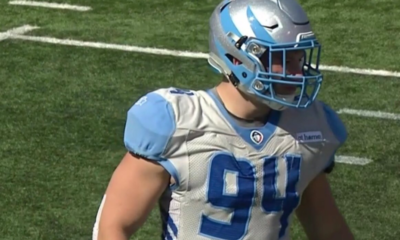 At 6’2 310, he has the skill set to play every spot on the offensive line but is projected to be a starter or contributor at either guard spots. He has a very solid base, and is capable of getting out in front of a runner while pulling, and flattening defenders. He is a very smart prospect, which will go a long way in the NFL, as he is expected to pick up the blocking schemes with ease. 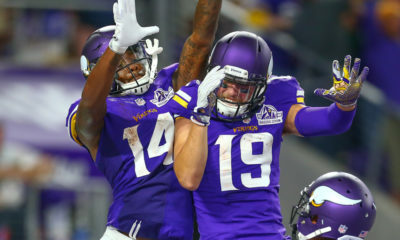 The Viking’s biggest issue last season, was there guard position’s, which was on full display in the championship game. Solidifying the front five would be there first step in keeping whomever they have under center, clean. RD 3) OG Braden Smith (Auburn)- Yes, the guard spot was that bad last year. Hence, the second Guard in as many picks. Smith is a bigger, faster prospect than Wynn (6’6 308), and although he does everything well, he doesn’t do anything spectacular. Good news is, the issues he has, are all coachable, as he has the potential to be a pro bowl, O-lineman, for years to come. Adding another prospect, can sure up their shaky center position, and would be a good step in the right direction. RD 5)DT B.J. Hill (N.C. State)- B.J. Hill, is a Zimmer, type of ball player. Big, Fast, tough, and hard to move in the middle of the field. He has great size (6’3 321LBs), and moves extremely well, while in pursuit of running backs. He is able to disrupt the pocket while keeping a quarterback very uncomfortable, and causing havoc. 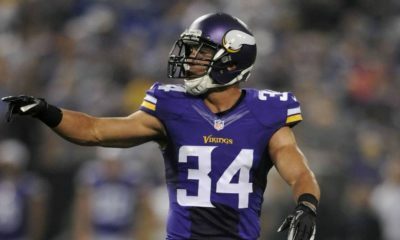 The Viking’s defense is the jewel of the team, and adding Hill would make them more dangerous. 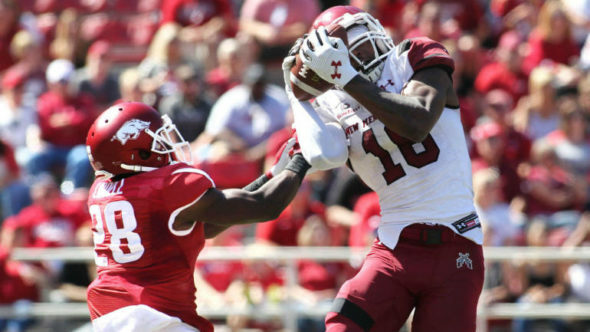 RD 6) WR Jaleel Scott (New Mexico State)- Stefon Diggs and Adam Thielen, create one of the best wide-out duo’s, in the NFL. The problem is, after those two, it get’s a bit murky Adding another talented player here, would help in the long run, and Jaleel Scott would be the perfect fit. At 6’4 215 LB’s, Scott is a complete monster on the football field. Blessed, with great separation skills, and very clean route tree, Scott would be an immediate upgrade. Good both inside and out, he has the tools to be a matchup nightmare, for defenses. 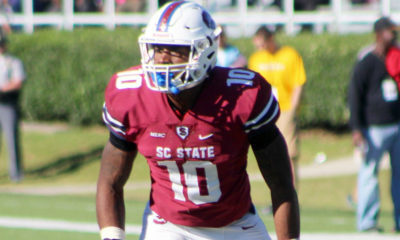 Considered a legit under the radar steal, Scott has the skill set to be a solid number 2, in the NFL.